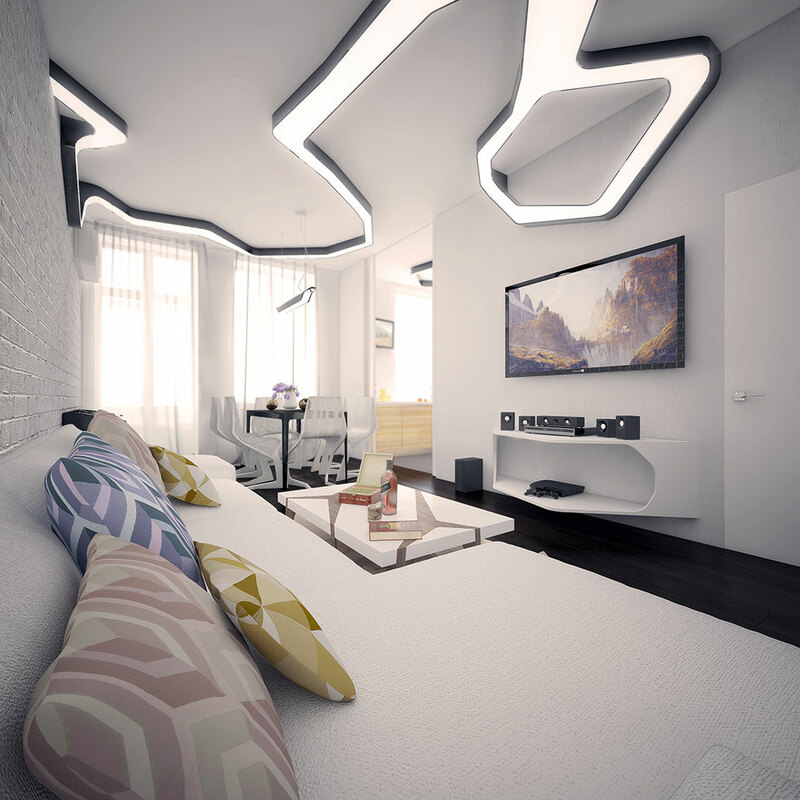 70 Years Later: Recharge is an interior design in Moscow, that represents studio-apartment with two bedrooms. Kitchen and living room / dining room can be connected with each other and are separated with mobile sliding partitions. The lightning stripe envelopes zones of human location in apartment providing distributed lighting and emphasising on transits between zones. Furniture, particularly in bedroom and hallway, make people`s transits more fluent. Project of Ukraine Pavilion at Milan Expo 2015. 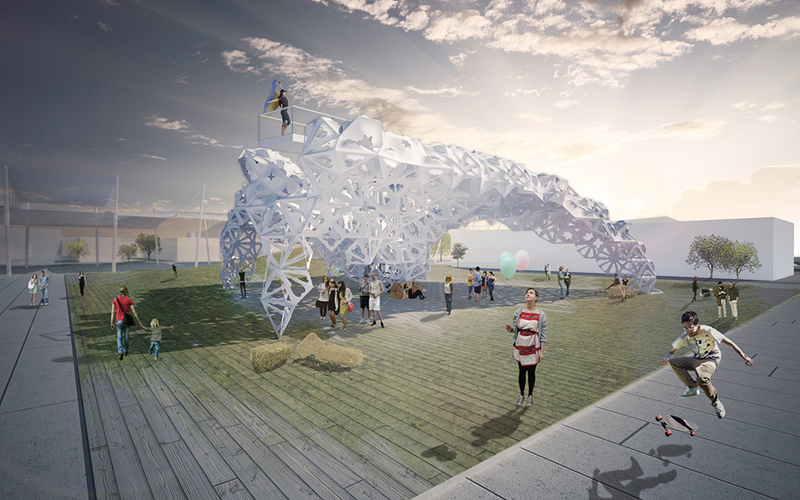 Recently Ukraine has been ignoring the question of a worthily representation of of the national pavilion at the World Expo, so our proposal is an attempt to break the trend and represent the state in terms of the openness of social and economic development, which is reflected in construction sensitivity (adaptivity) to the environment and visitors. Being open to changes and be transparent in its` implementation – is the slogan with which we support our vision, offering Ukraine Pavilion architecture, while emphasizing on the universality of exposition. 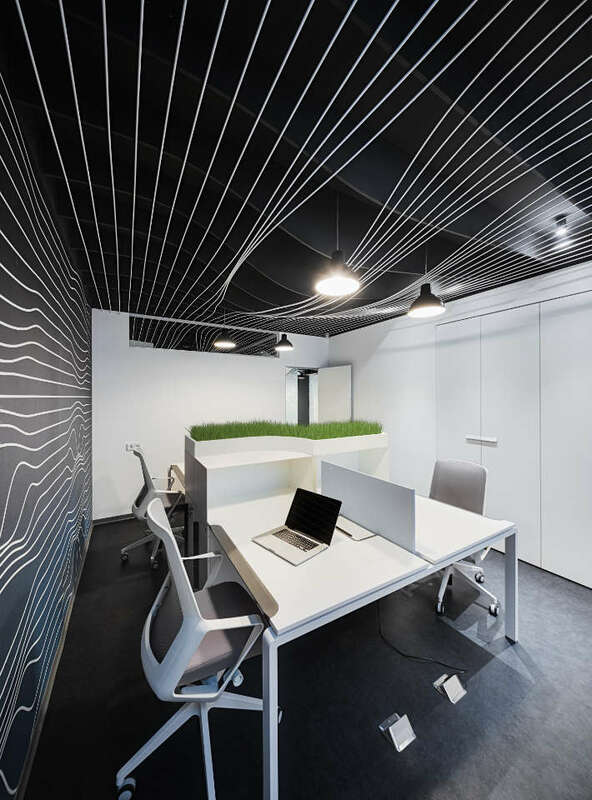 Photos of earlier published Rules of growth 2.0 interior design in Kyiv. 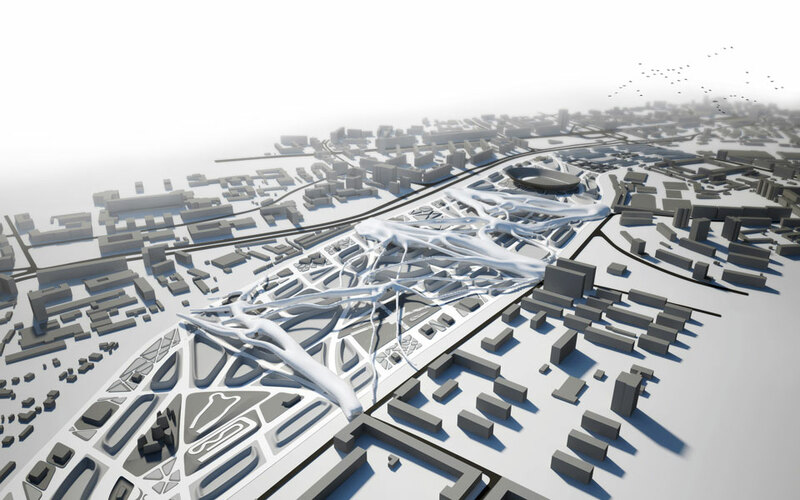 Though usually we work intensely with the methods of parametric architecture in this project computational design means were applied to decorative parametric trees. The main goal was to create a contemporary interior with minimum of required but capacious furniture in order to save means and get maximum of free space. 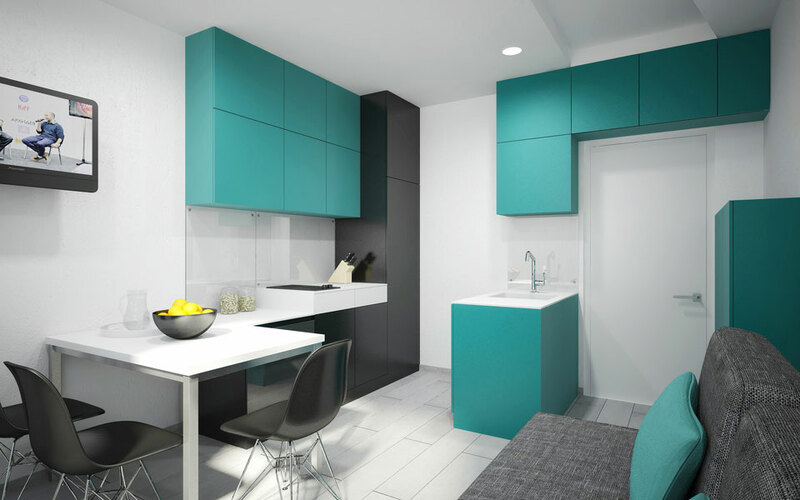 Interior design of two-bedroom apartment in Kyiv, 69B Irpinska. 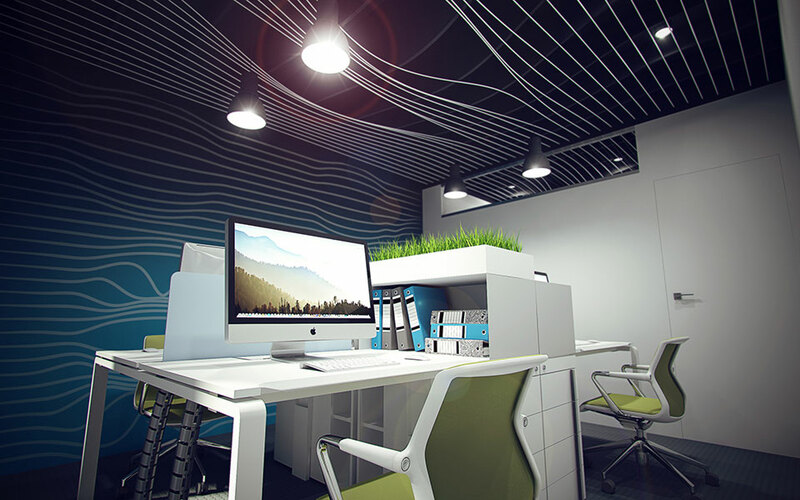 Contemporary interior has a series of innovations by using methods of computational / parametric architecture, including the fact that for the first time in Ukrainian interior design practice we used 5-axis CNC milling machine for manufacturing panels with different curvature and bar counter for bottles of wine in apartment’s open space. 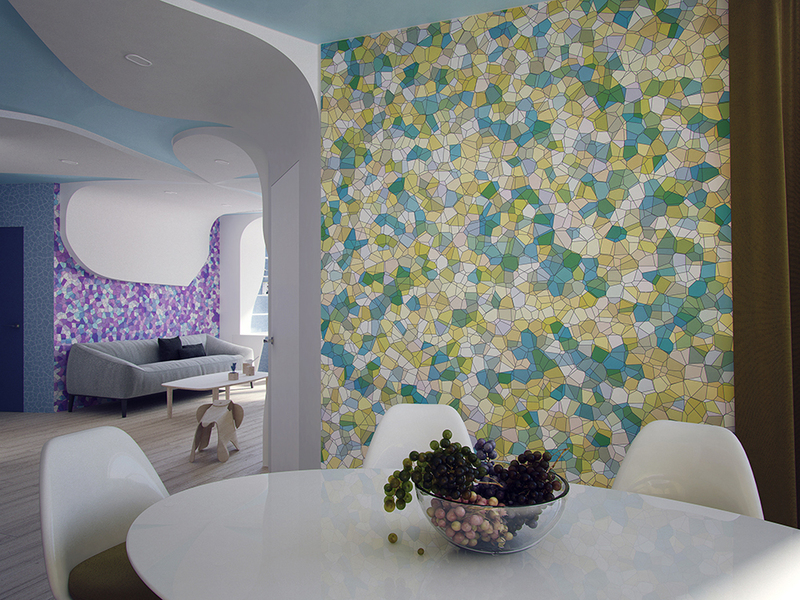 Interior design in residential complex Liko Grad. Single bedroom dwelling consists of bedroom / living room and kitchen / dining room that has an extra place for guests to sleep. Electromagnetic fields have already occupied a prominent place in computational architecture theory and have been used in one of our previous projects. Resumption of this theme aimed to make a wider research of the topic and variations of its implementation in design.